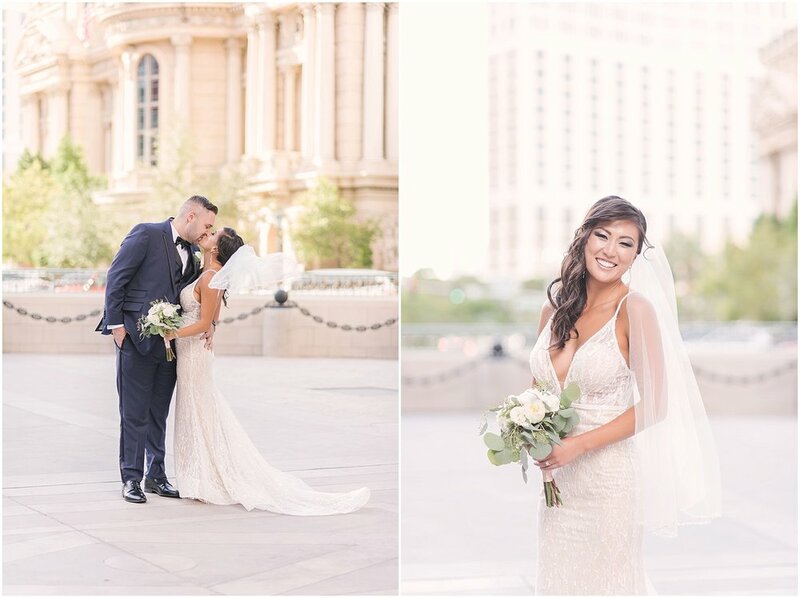 Having family all over the country and having recently moved across the country themselves, Emily and Pete decided Las Vegas was the perfect spot to celebrate their wedding and we couldn’t agree more! These two are super laid back, chill, and so much fun to be around. 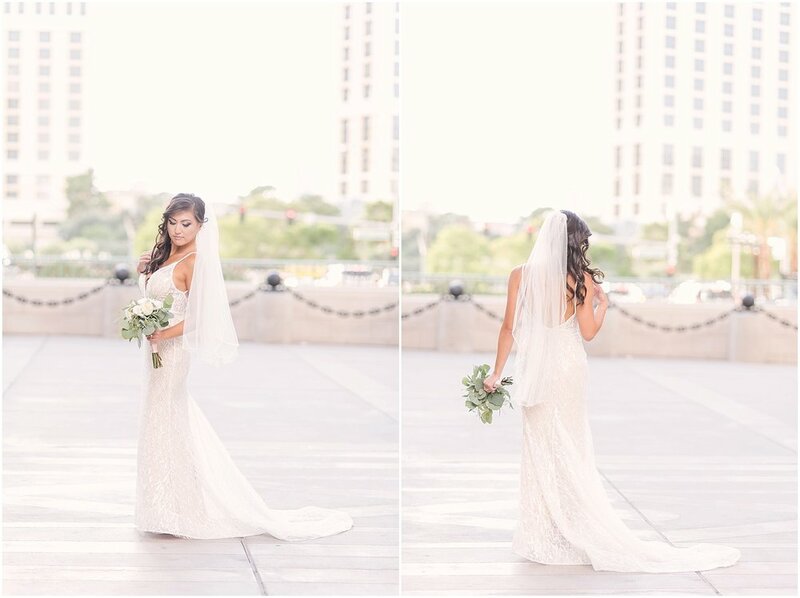 We met up at the Elara Hotel where Emily was getting ready and dolled up by the lovely ladies of Makeup in the 702. 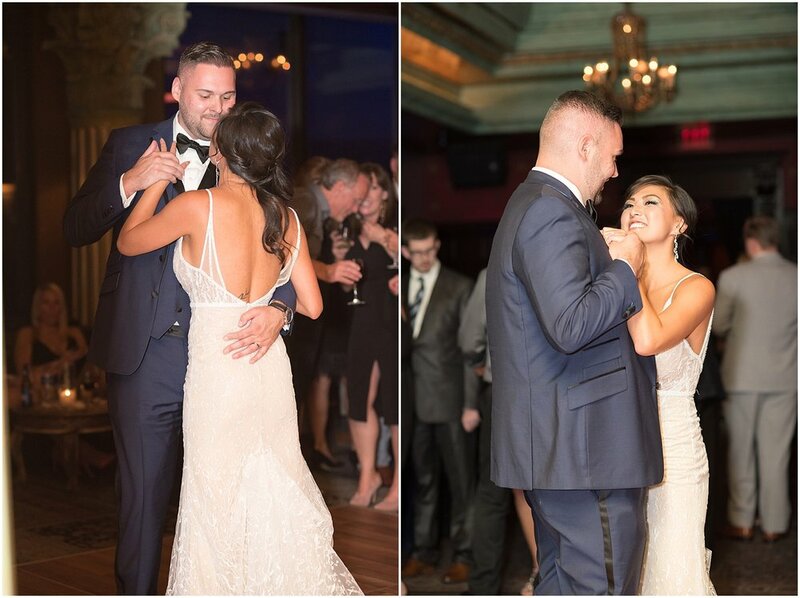 Then, Jason met up with Pete, so these two love birds could have their first look before starting their amazing day! 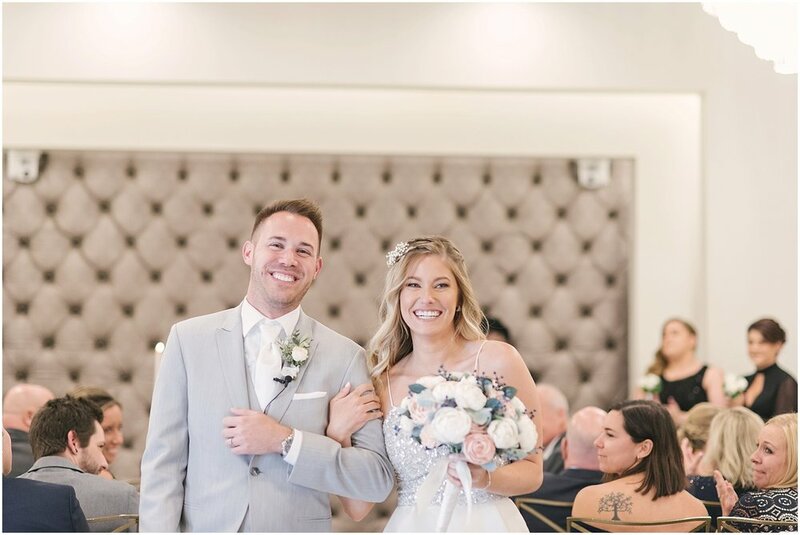 They had about 50 friends and family members travel out to Vegas for their wedding and they knew they wanted to have a day that not only represented who they are as a couple, but also represented a bit of Vegas, so they tied the knot at the Chapel of the Flowers. (Side note: most chapels do not allow outside photographers, so ask before booking if they do or not. 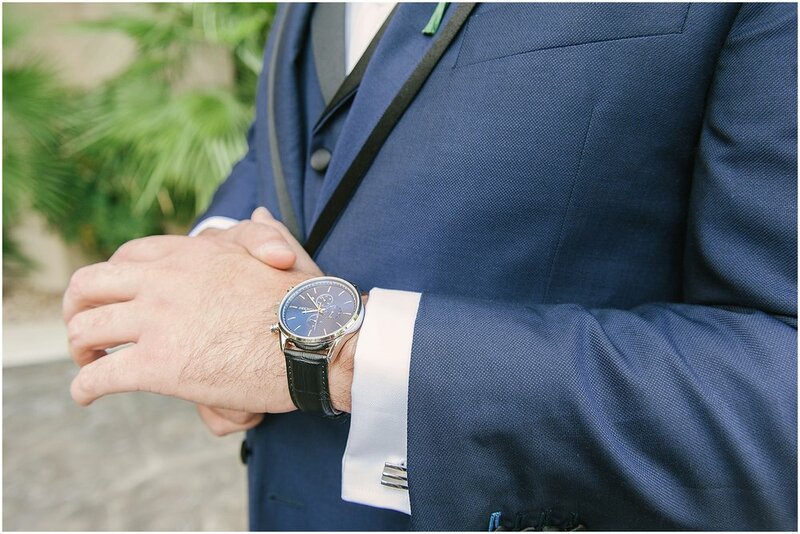 The ones that do will always charge an outside vendor fee of several hundred dollars to allow you to bring your own photographer.) 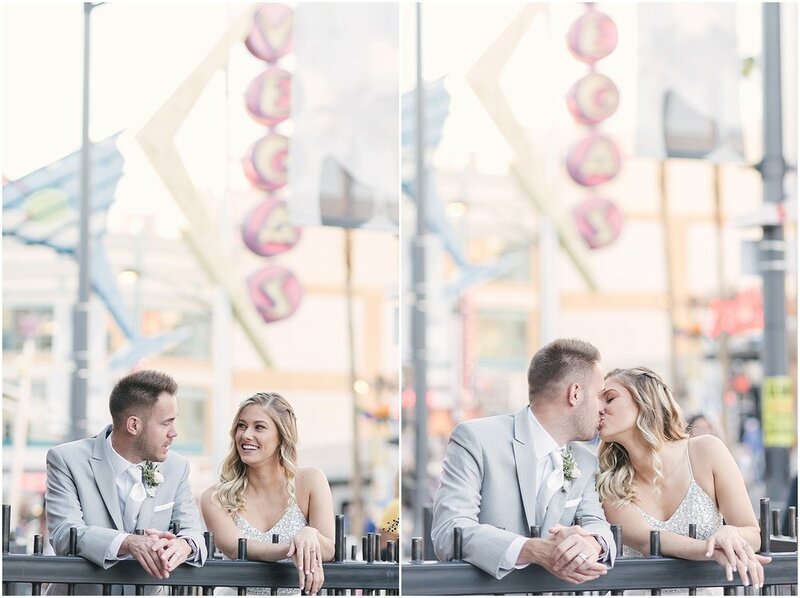 After the ceremony, we went around and explored the downtown Fremont St. area with the newlyweds, while their guests were transported via private shuttle buses to the Wynn for their reception dinner. 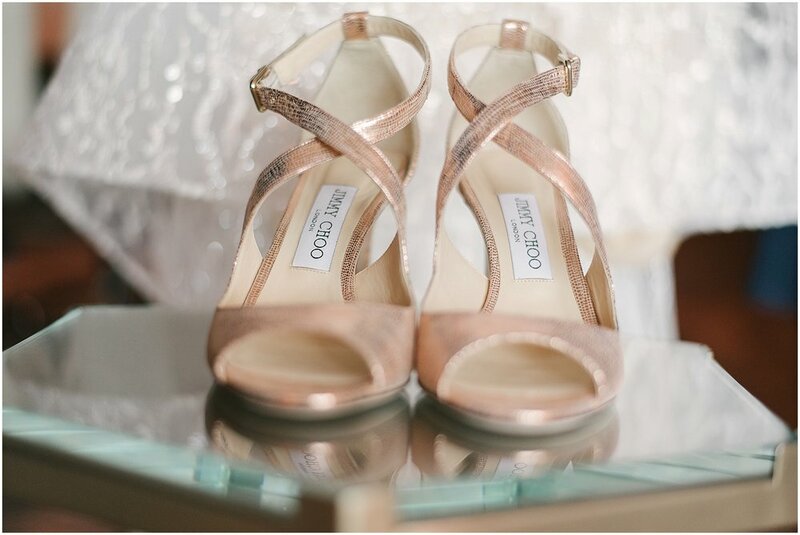 Having a destination wedding did not mean that they would skimp out on having an epic day! 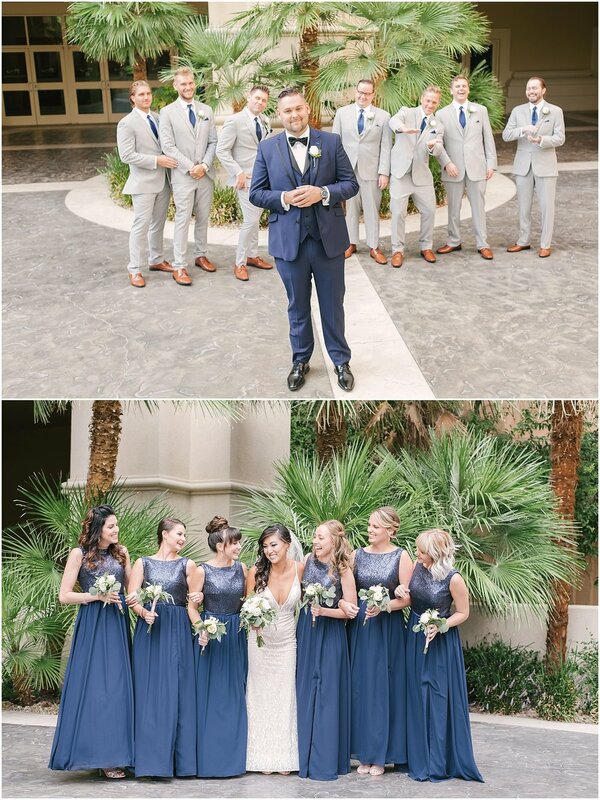 They had a huge bridal party of 13 of their closest friends and about 100 guests! 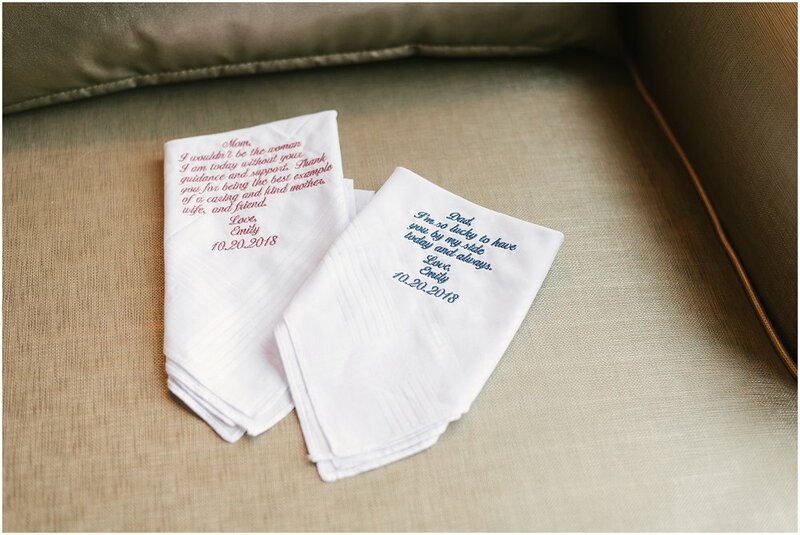 You can tell these two are truly loved and after getting to know them, I can totally see why! They’re genuine and kind and just a lot of fun to be around. I met Marissa in their suite at Mandalay Bay and Jason met up with Eric and the guys at a bar downstairs. 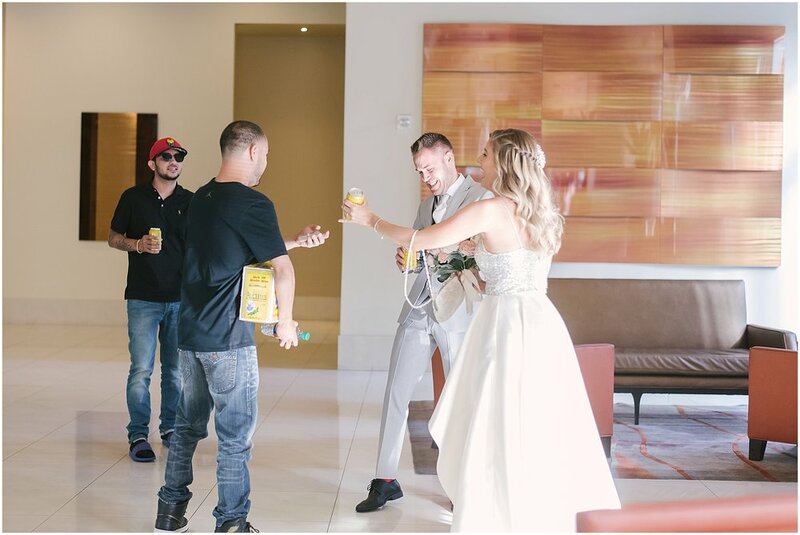 So, while Marissa and her bridesmaids got their finishing touches with the amazing Makeup in the 702, Eric and the guys hung out, had some drinks, and waited for Marissa and her girls to come down. 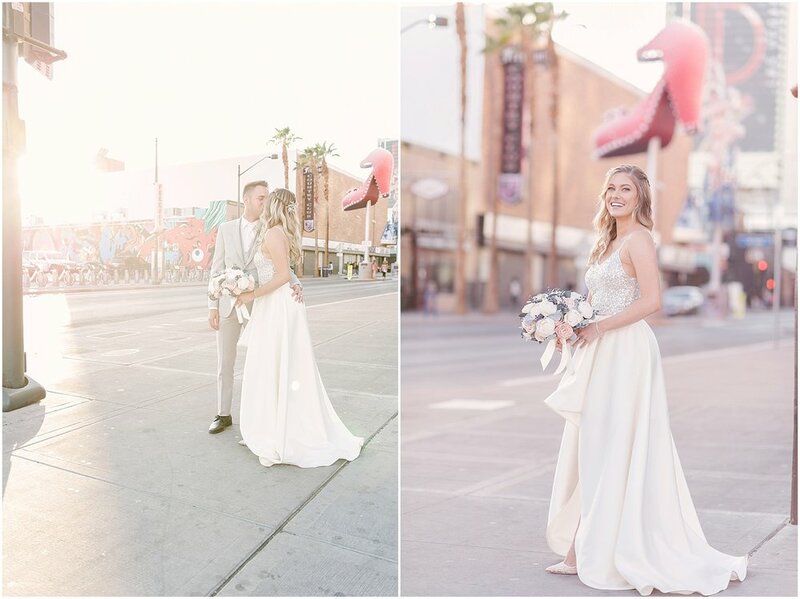 Marissa and Eric chose a first look, so we found a quite spot away from the busy hotel for them to have their moment and get to take it all in! 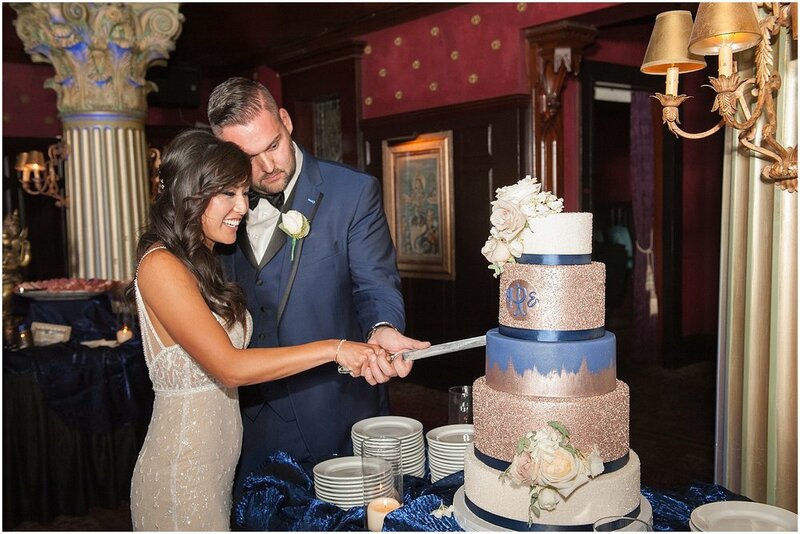 It was the sweetest! The bridal party met up with us right after for some fun group shots around hotel grounds before heading to Paris Hotel for some photos of just our gorgeous bride and groom together. 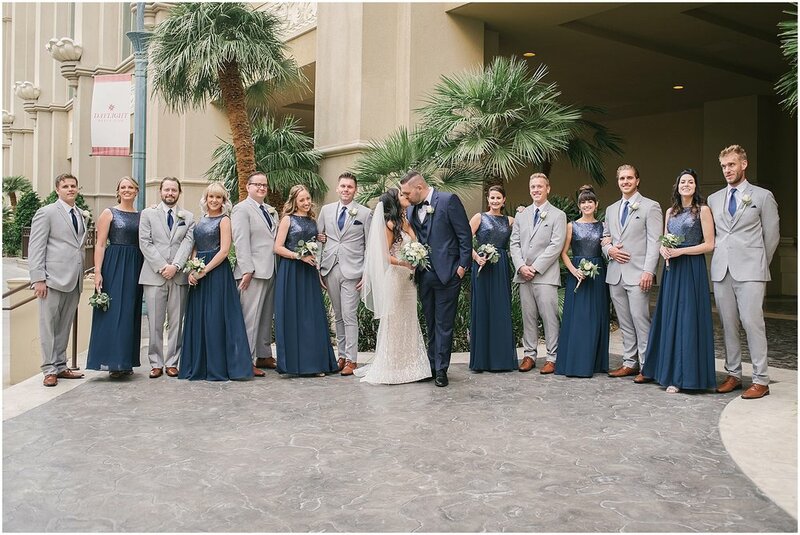 They had their ceremony in the evening at the Valley of the Falls outdoor ceremony space at Mandalay Bay and then we all made our way to the super cool House of Blues Foundation Room VIP Club at the top of the hotel. 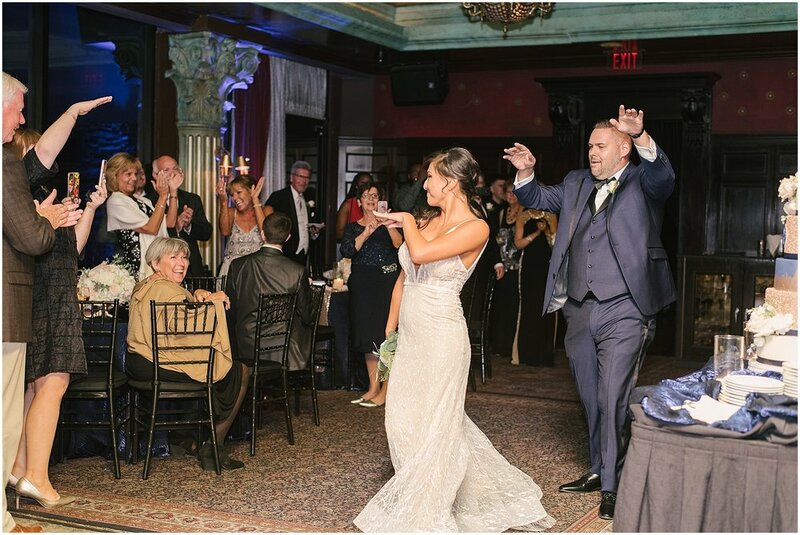 They didn’t want a formal reception vibe but rather they wanted it to feel like a lounge and a place where everyone could chill on the balcony and enjoy the view of the strip at night. 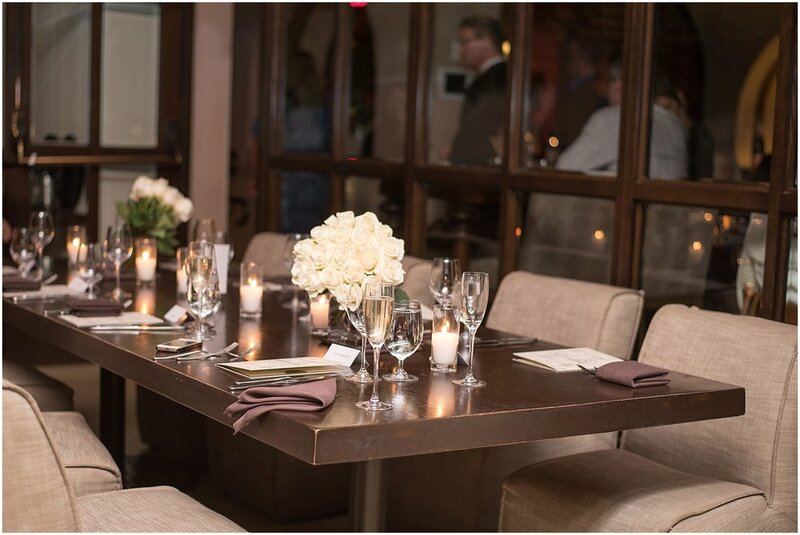 This was achieved by having a few round tables, but also having couches and tables with pillows, plus high bar tables throughout. 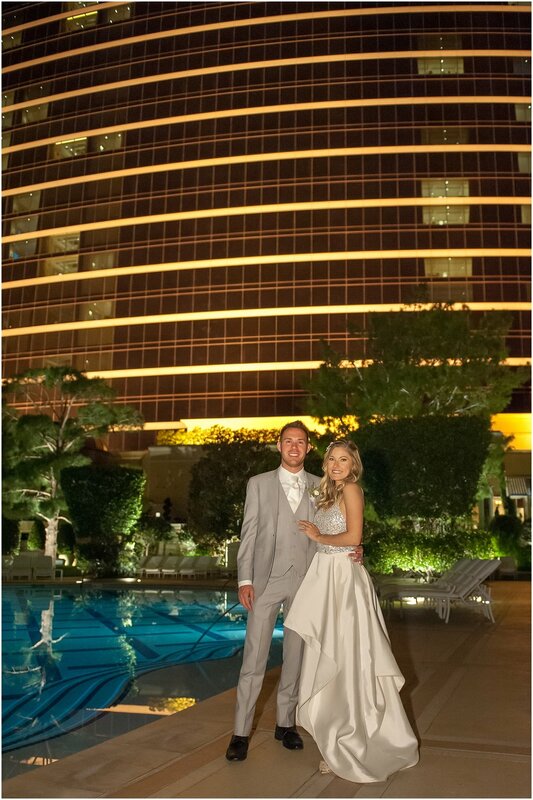 It was the perfect venue for them and turned out to be an epic evening! 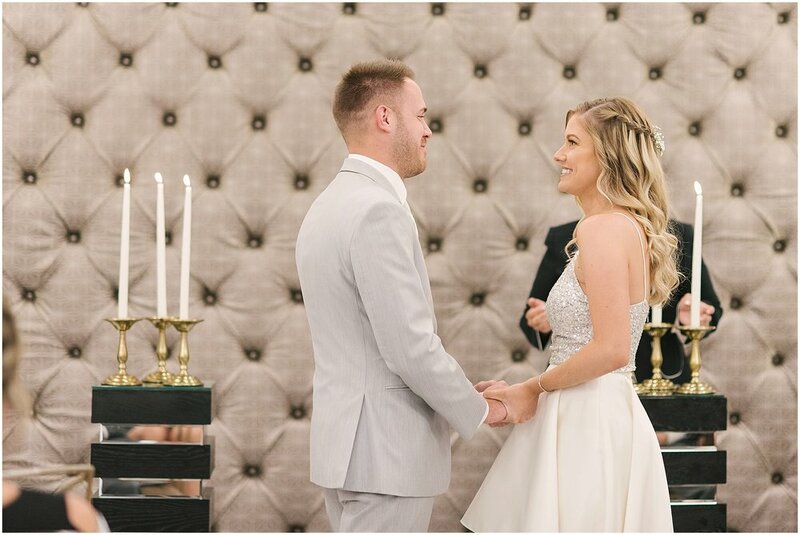 Surrounded by family, friends, and the epic backdrop that is Red Rock Canyon, Whitney and Josh had a sweet and intimate wedding ceremony. 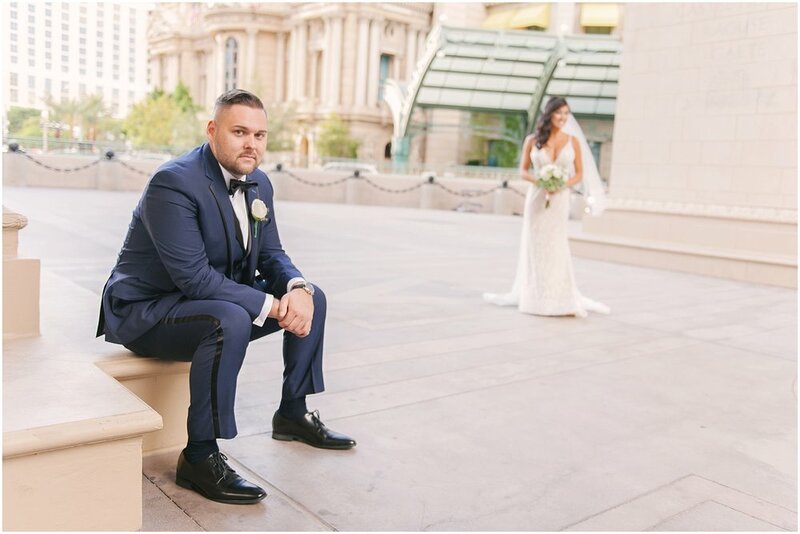 It was just what they wanted and Desert Elopements Las Vegas was there to help them coordinate it and secure the perfect outdoor location! 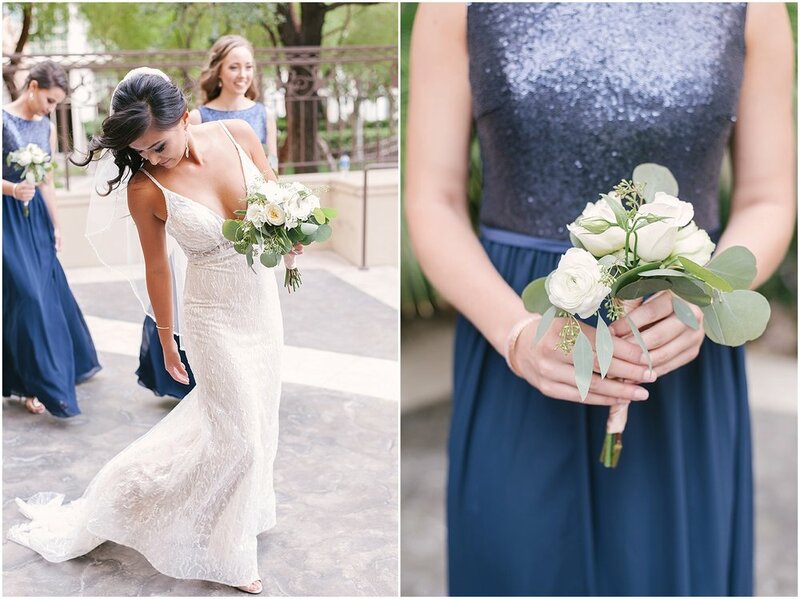 Whitney had the awesome team at Amelia C. and Co. do her hair and makeup and she topped off her boho look with an amazing bouquet from Layers of Lovely! 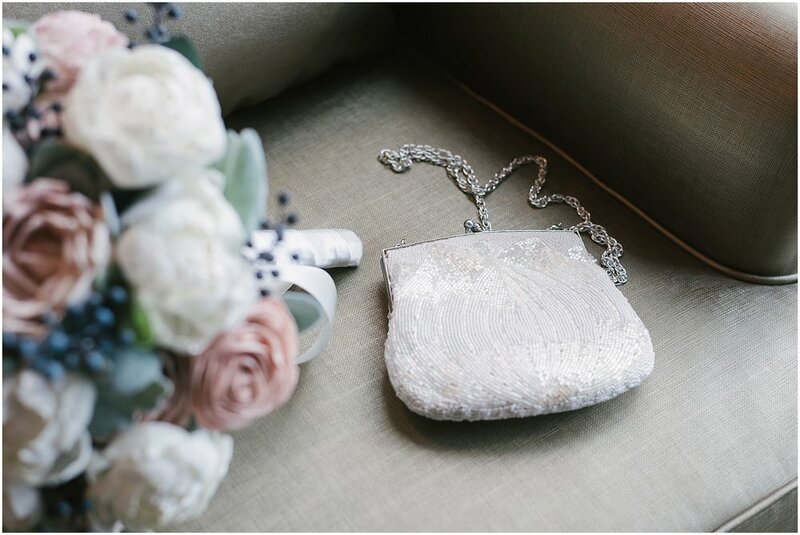 Just check out their photos andI’m sure you’ll agree that they had a dream team of vendors and their location couldn’t be any more dreamy!